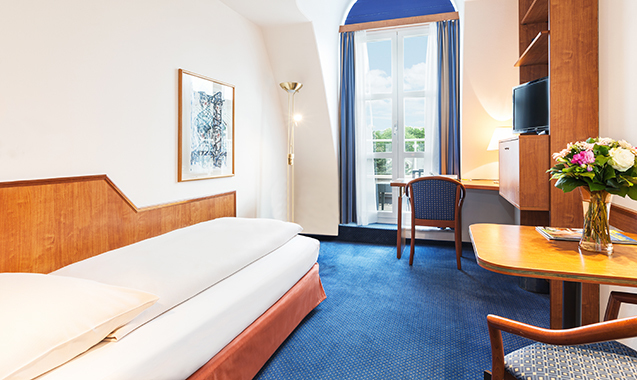 Our Living Hotel is located in Vienna’s most idyllic neighborhood. Situated in the 19th District, you can live and work in a spot away from the hustle and bustle of the city. It’s a place to find peace and organize your everyday life exactly as you like. 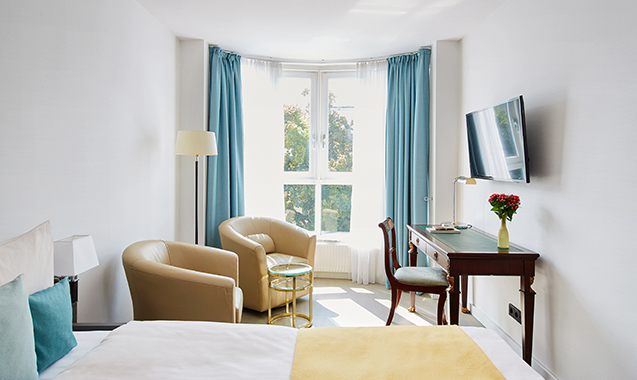 We are the elegant, modern alternative to a classic inner city hotel. Still, it’s no problem if you want to experience and discover Vienna: our Living Hotel is just 15 minutes away from the heart of the city. 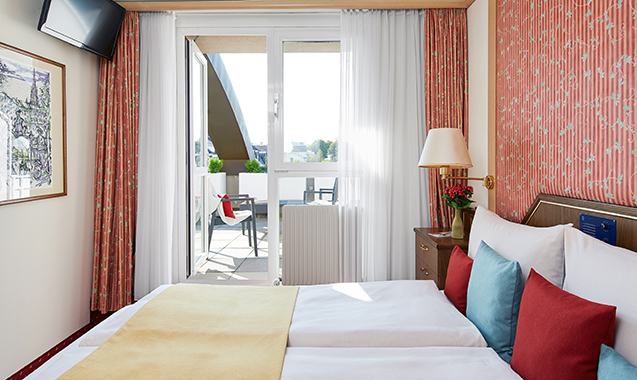 Your tranquil oasis will serve as the starting point for all city trips. Planning a trip to Vienna? If so, we have the room for you. 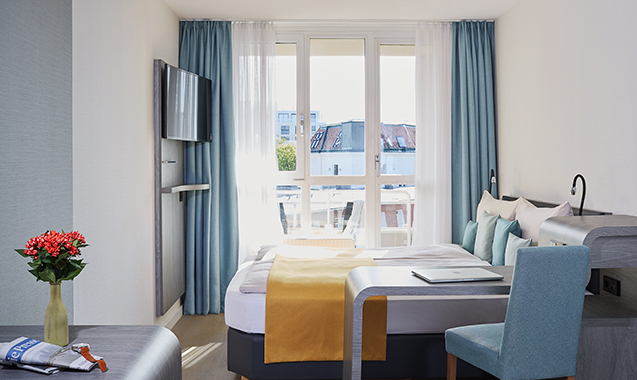 We have 305 rooms and Serviced Apartments, many with roof terraces and balconies, featuring cozy designs, spacious living areas and many amenities such as free wifi and a free minibar. Our Serviced Apartments offer long-term guests the ultimate in service. Everything is tailored to how you live your life. 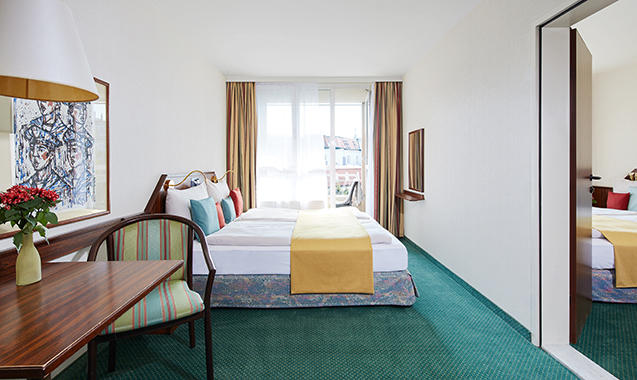 It’s your home away from home. We have the perfect solution for those who like to cook: apartments with integrated kitchenettes. This saves you money and means you can cook yourself delicious meals while feeling a little more at home.